This is so bizarre that I can’t believe Apple missed it. The notification settings screen is in no discernbile order. If you want to turn off or change notifications, you have to scroll through the list until you find what you’re looking for. These should be listed in alphabetical order so that users can quickly jump to the app they’s looking for. The most likely reason a user comes to this page is that an app is annoying them and they want to turn notifications off. So it makes sense to list the apps that sent the 3 most recent notifications. 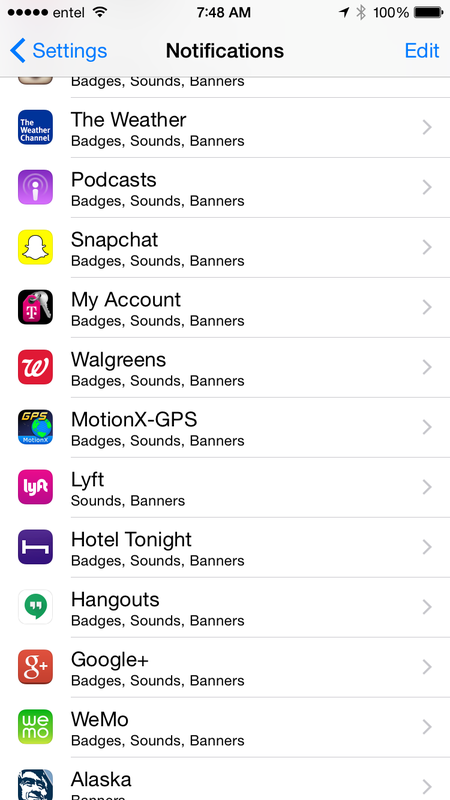 Below that, you’d have a list of all the apps (including the 3 at the top) listed in alphabetical order. Another option to simplify the process is to let users long press on a notification to jump to the notifications screen for that app.